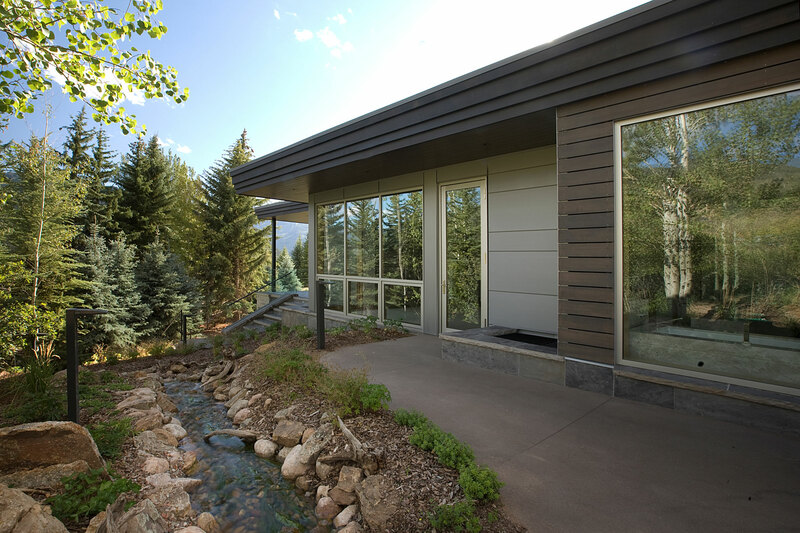 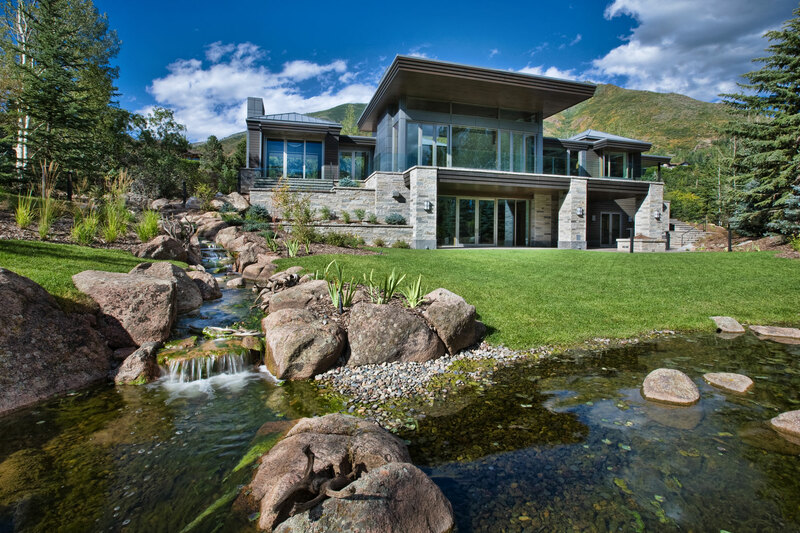 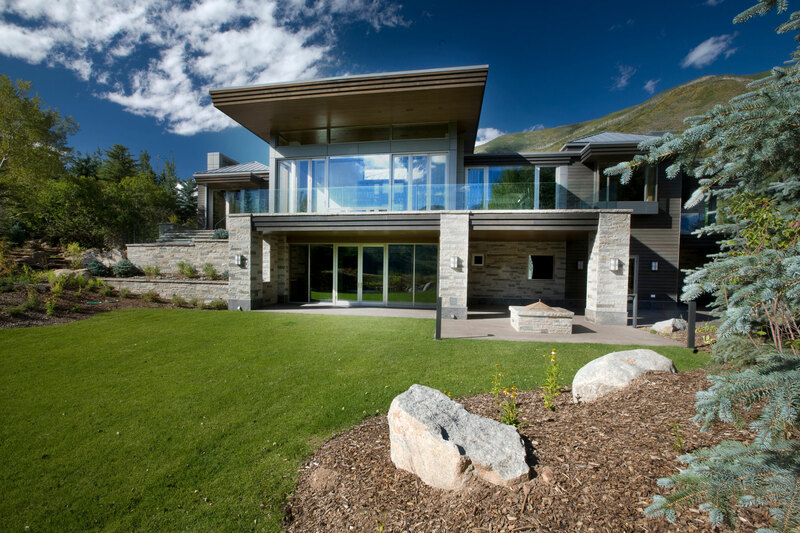 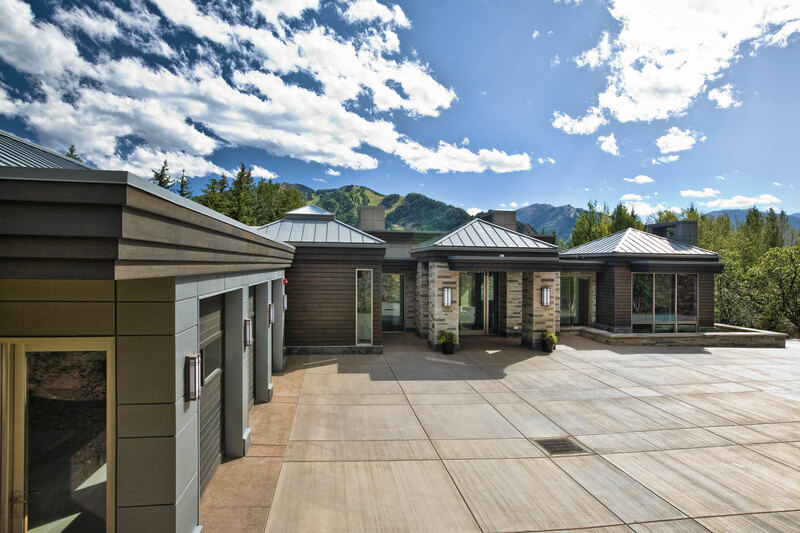 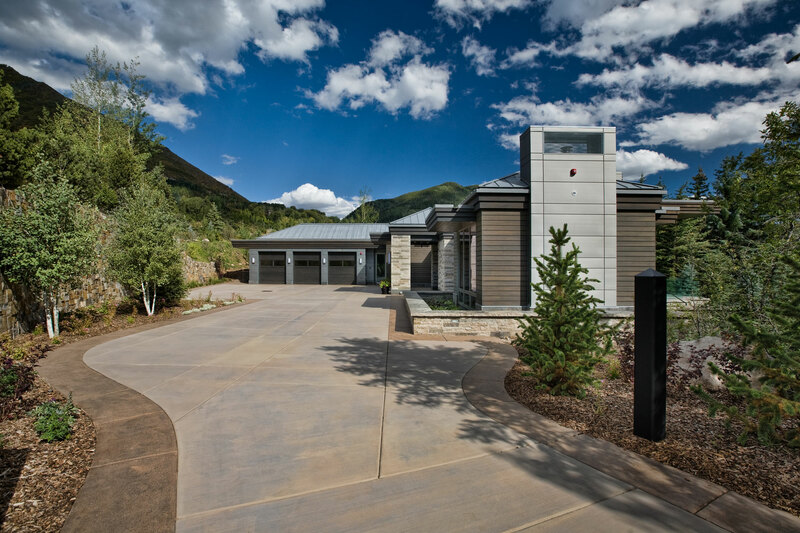 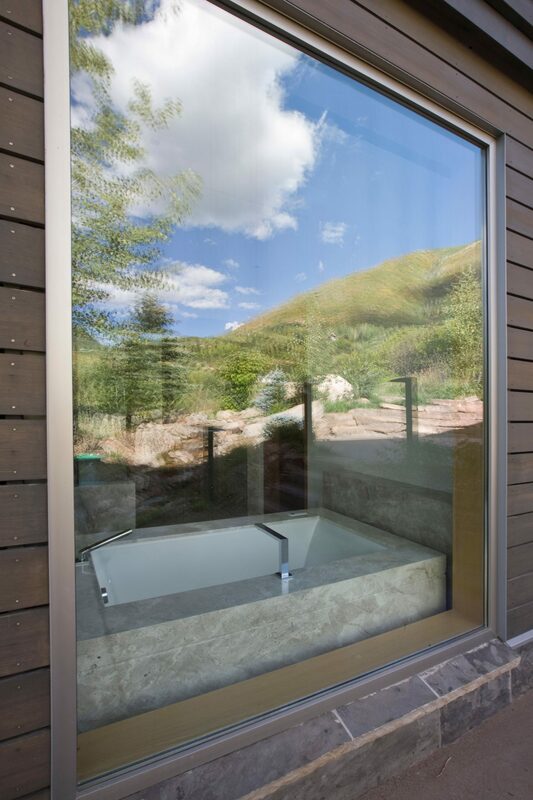 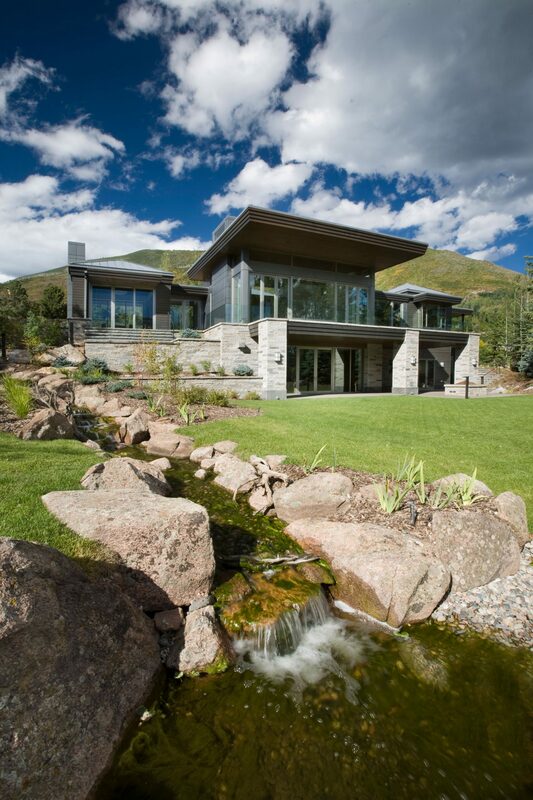 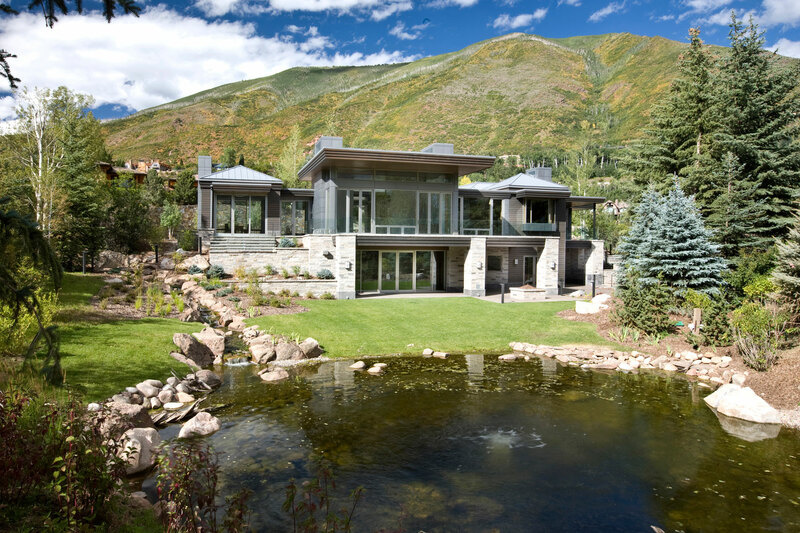 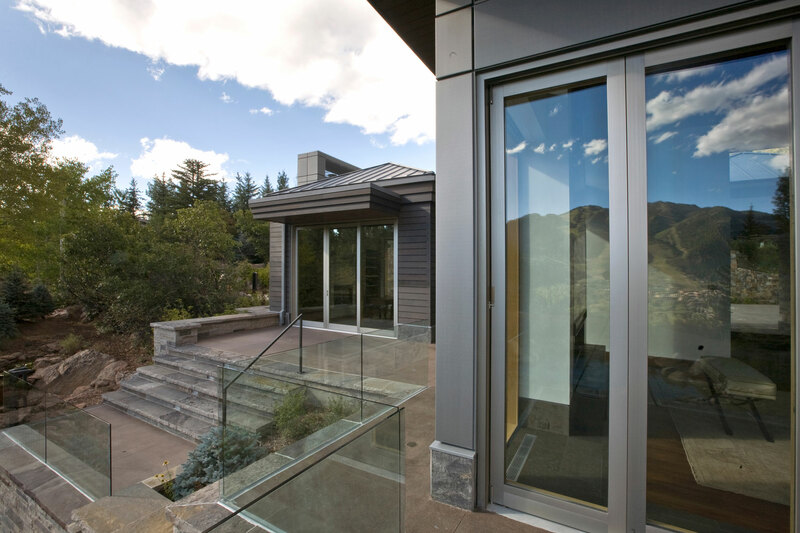 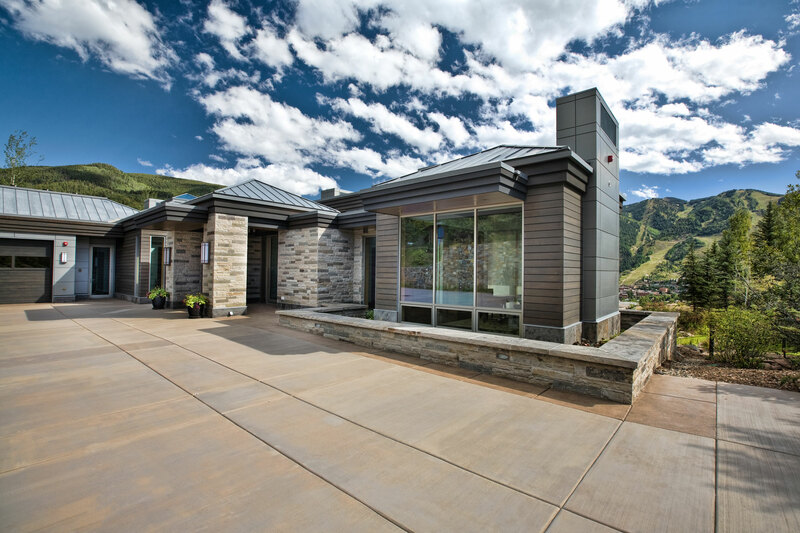 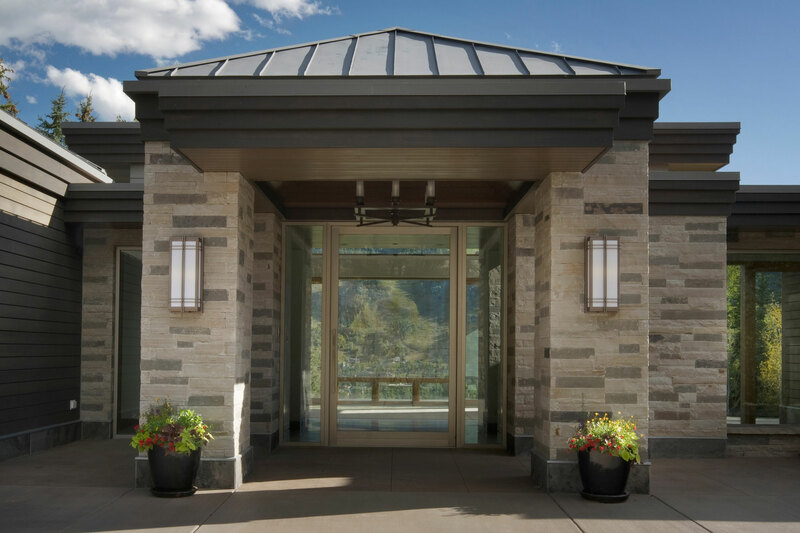 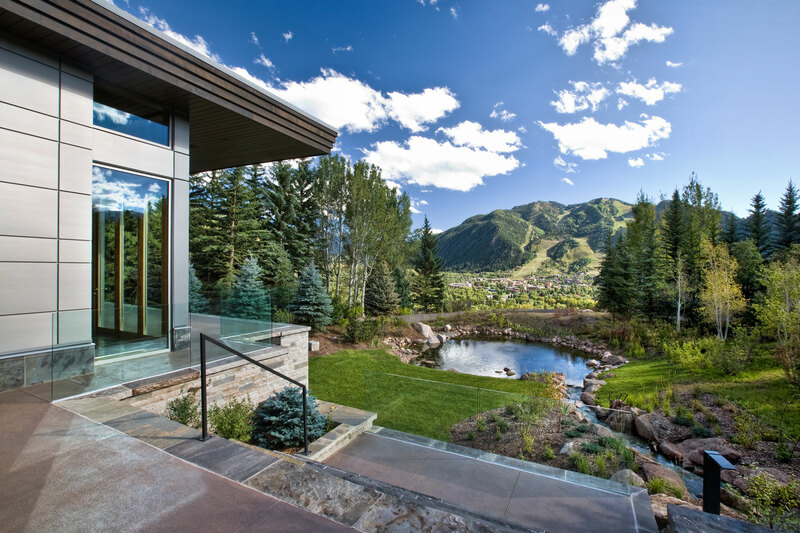 A glass pivot entry door looks through the great room to the lift and slide doors, opening the home to views of Aspen Mountain. 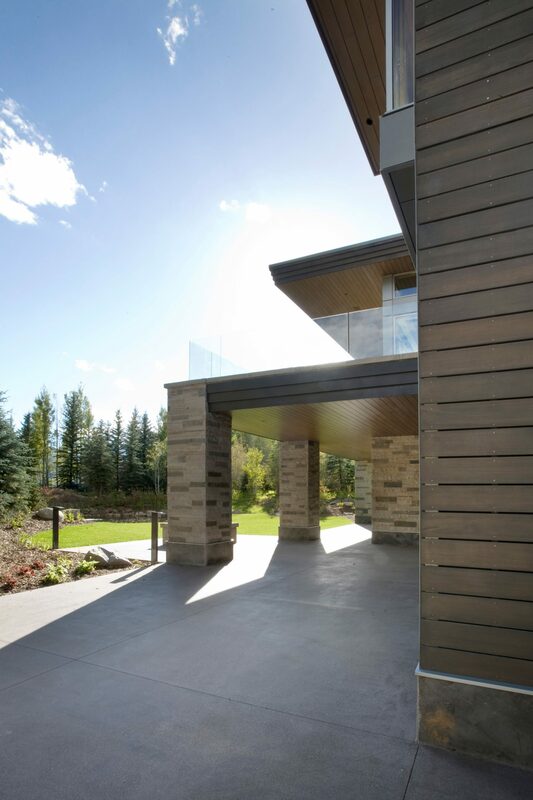 Dry stacked sandstone and Cedar rainscreen form the exterior with a patina copper standing seam metal roof. 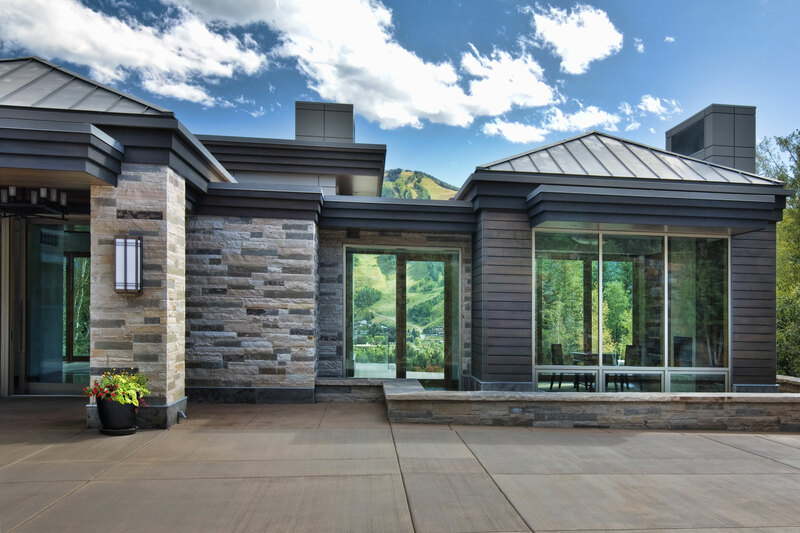 Large overhangs create spacious outdoor living areas while contemporary interior details, linear fireplaces, marble and light woods create a soft interior feel.